By Ashutosh KS in Hosting. Updated on June 13, 2018 . Are you planning to build your own Dropbox-type cloud storage for your team or business? Though there are various self-hosted cloud solutions for creating a private cloud yet all of them will not fit your requirements. That is why, in this post I am going to confront the top three self-hosted cloud storage solutions i.e. Nextcloud, ownCloud, and Seafile, to help you pick the best. These three are free and open-source solutions to create and host private cloud — a cloud for you and your contacts only. So, let us discuss these in detail to know where they stand individually. ownCloud was started to provide a free replacement for proprietary storage service providers. Nextcloud, on the other hand, is a featureful fork of ownCloud that was started by ownCloud’s core developers including its founding developer. And Seafile was born with an objective to develop and distribute a file syncing software. Although these three were started to provide a proprietary-free cloud storage solution yet they have lots of differences. The most notable among those is, ownCloud and Seafile offer two editions — a server edition that is free and open-source and a pro/enterprise edition with extra features, but Nextcloud, on the other hand, features a single edition with optional enterprise support. Nextcloud provides numerous methods to install or get it — an archive file and a web installer for dedicated servers and shared hosts. It also offers appliances and images for easy deployment to your servers. Lastly, there are also officially suggested cloud providers and device manufacturers to get it easily. ownCloud, being the base of Nextcloud, offers almost similar installation options — a tarball and a web installer. It also offers appliances, images, and distribution packages to deploy it readily on servers. Moreover, there are various hosting partners to create and sign up for your private cloud quickly. Seafile gives less options than the above two — a web installer (installation script) as well as pre-built binary packages for Linux distributions. Moreover, it offers docker images and supports Raspberry Pi as well, interestingly. Nextcloud is the clear winner here. You can get ready-made devices with preinstalled Nextcloud, which are not available for ownCloud. And both of these offer a lot more than Seafile for getting and setting up a private cloud. 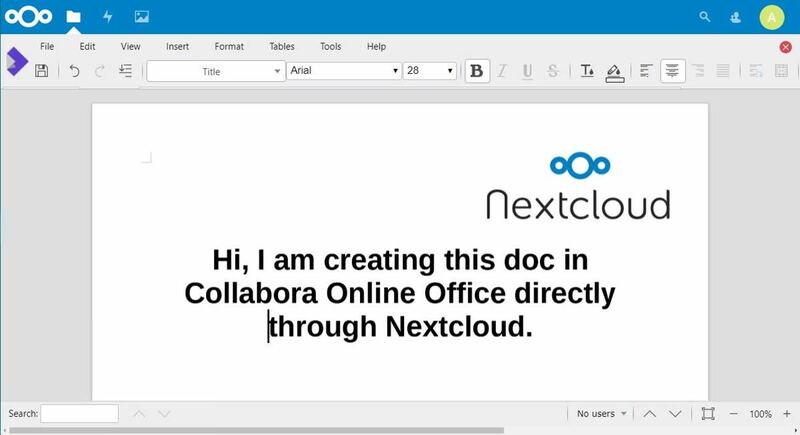 Nextcloud offers numerous features to enhance collaboration among a team. It supports Collabora Online Office to allow viewing and editing documents online. Moreover, you can search for and share a file with a user or group on the cloud, add comments to discuss about it, or create a public link to share it with others. You can also add a expiration date or a password to links for added protection. 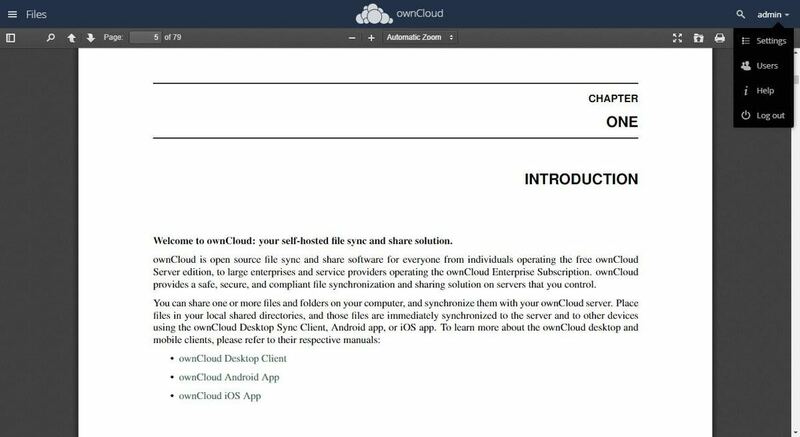 ownCloud features all sharing features of Nextcloud. What I found unique as well as interesting is its ‘Guests’ feature, which enables creating limited accounts that allow guests to have full collaboration without assigning them as members. Seafile too offers almost the same features as Nextcloud. It also avails a library feature to create libraries of files and folders that you can then sync or share. 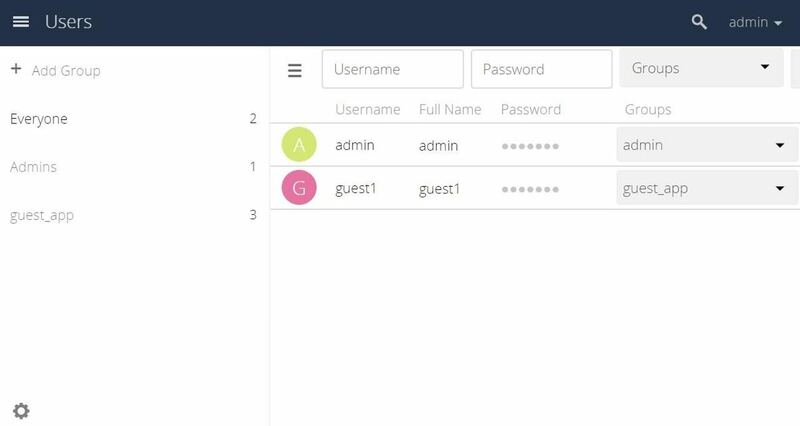 ownCloud surely stands out in this section with its unique feature ‘Guests’. Of course, both the other solutions provide all the necessary sharing features. Nextcloud desktop clients support Windows 7 and above, macOS 10.10 and newer versions, and Linux distributions as well. Its mobile apps are available for Android, iOS, and Windows platforms with the last one still in testing phase. ownCloud too supports all devices as Nextcloud except for Windows Mobile. Seafile also supports as many platforms as supported by ownCloud. What makes it unique is it provides drive and sync clients separately for desktop platforms. Though Nextcloud has the edge here yet Windows Mobile platform is less used, thus all the three solutions have almost the same set of supported devices. 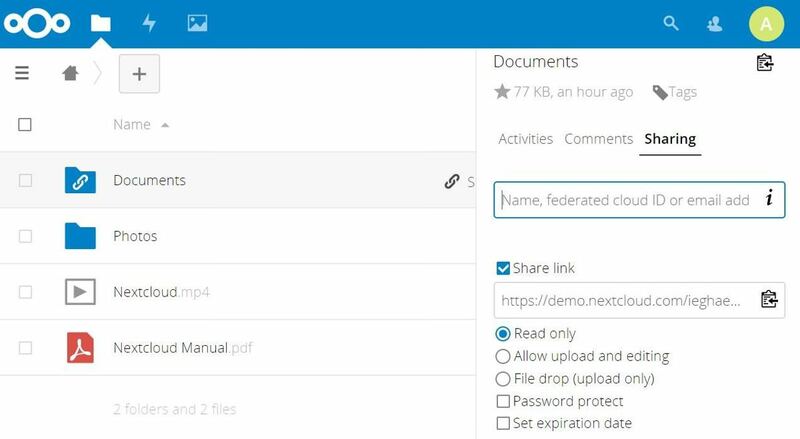 Nextcloud offers ‘Nextcloud Talk’ and ‘Nextcloud Groupware’, which promotes collaboration and productivity among a team and makes it a complete solution. Talk allows the users to text, call, or have web meetings with other users. Groupware provides webmail, calendar, and contacts management features. Also, its ‘App Store’ hosts 120+ apps to add more functionalities. 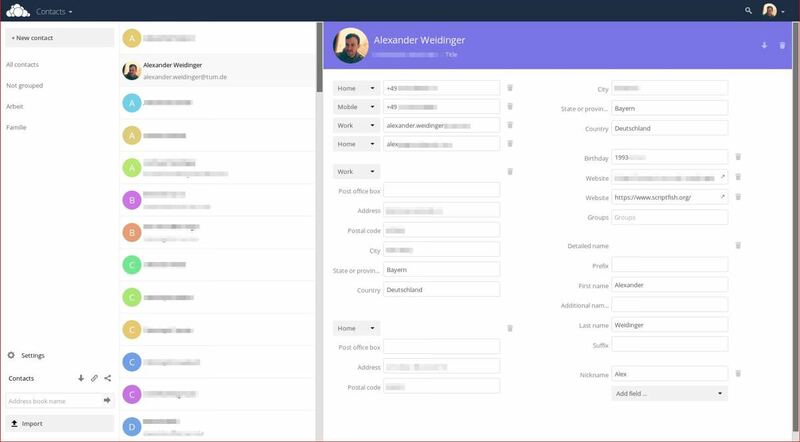 ownCloud’s store features official apps for calendar and contacts. Its ‘ownCloud Marketplace’ stores 200+ official and third-party apps to extend its functionality. I found there are apps to add bookmarks and tasks feature, add external storage services including Dropbox, integrate a backup solution, etc. However, there is no app to add text, call, or web meetings support, unlike Nextcloud. Seafile, on the other hand, misses all such features. That means, it is just a file sync and share platform with support for online office but it lacks collaboration features like calendar, contacts, web mail, and text and call as well. Nextcloud is definitely the winner here — it is a mature solution with various collaboration features, making it a self-hosted rival of Google Drive + Hangouts. ownCloud lacks many such features but is still better than Seafile, which is just a Dropbox-like file storage solution with basic collaboration options. 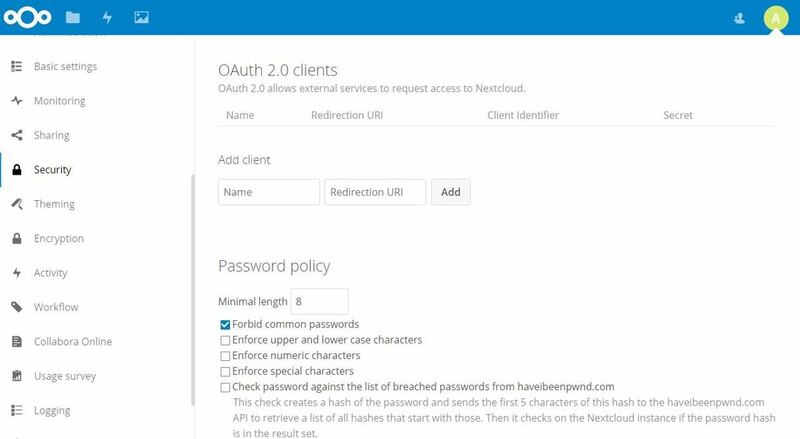 Nextcloud features robust security measures including encryption while data transfer, server-side storage encryption, and client-side end-to-end encryption. It also offers file access control and app access rights for better control. Also, LDAP, SAML, Active Directory, and Kerberos are supported out of the box. ownCloud offers similar security features with some exceptions to Nextcloud like it does not feature app access rights and Native SAML support. ownCloud even miss content security policy feature, which is offered by Nextcloud. Seafile also features server-side data encryption and end-to-end encryption at client side along with encryption during data transfer. However, it misses features like LDAP and Active Directory, which are found in others. Nextcloud is again the victor in this section. Though all three are good at usual and essential security features yet Nextcloud has lot more features to protect your data from intruders and give admins fine control over its accessors. Nextcloud, as I told before, offers almost everything in its free edition. It does include full-text search, anti-virus integration, data workflow management, file access control, audit logs, and integrated account management. If you opt for one of their subscriptions, they offer you maintenance and support. Moreover, you can opt for Collabora Online Office or branding services separately. ownCloud features many productivity and security features in its enterprise edition. Its workflows feature lets you automate file management, ownBrander lets you custom brand your cloud, and SharePoint integration offers access to all SharePoint files on ownCloud. Moreover, it offers network drive support, file firewall (to set access rules for files), audit logs, single sign-on, and more. Seafile too offers numerous features in its pro edition. 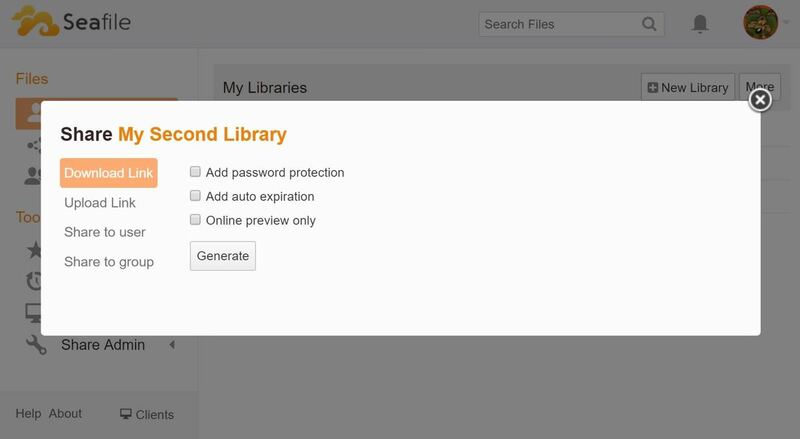 You can lock files to avoid co-editing, set permissions on folders, and have role-based accounts. If I talk about usability features, it include full-text file search, Office Online Server integration, and an online garbage cleaner. Moreover, it features advanced single sign-on, remote wipe, anti-virus integration, and audit log for high security. Nextcloud is definitely better than the other two here — especially if you are looking for a low-cost yet featureful solution. It avails most features in its free edition and its subscription cost is lowest with ownCloud’s being highest. It is your decision at the end of the day, but I will suggest to evaluate your team’s or business’s requirements with the features provided by these solutions. Then you can choose one of these based on the best match. Don’t you agree?